The images shown depict wax figures created and owned by Madame Tussauds. 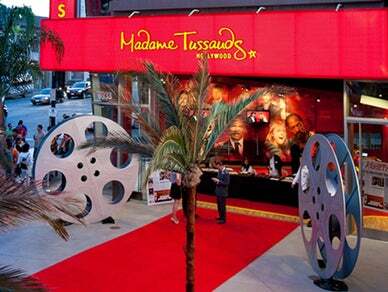 Madame Tussauds reserve the right to remove and/or change figures in the attraction. When you book your tickets on-line you automatically get the use of our dedicated Priority Access Entrance for quicker entry. New! Some of Marvel's favorite Super Heroes are brought to life in an all-new interactive themed area, featuring startlingly realistic wax figures and an ALL NEW Marvel Super Heroes 4D film experience. Hours of Operational - Seasonal: Open every day of the year except Oscars Sunday!